Going out on recreation in an RV is definitely full of fun and adventure. But it also means that you will be cut off from the usual comfort that you usually have at home. Like having a warm shower during chilly nights. And after several considerations, you might have thought that you need an RV tankless water heater to accompany you during your journeys. It could be due to how water heaters with tank can’t accommodate warm showers for everyone in the group. There is also the fact that you need to make space for the tank. We will be reviewing the top 5 best tankless water heaters, give you tips on how to choose one and finally compare the advantages of tankless water heaters to other alternatives. When it comes to an affordable choice of the tankless water heater, Camp Chef HWD5 Triton Water Heater does a great job. It might not come with the fanciest features another water heater that costs $800 may have, but really, it’s the constant stream of warm water that really matters. The case of the water heater is made of non-stainless durable steel and the heater runs on propane. It’s also something that will definitely keep your traveling group warm with 1.5 liters of warm water per minute. The burner provides up to 34,000 BTU of power, which is equal to heating up 0.5 gallons of water per minute up to 102° F. 0.5 gallon/minute is also the minimum water flow to kick start the heater. The minimum water pressure you will need to keep the shower run smoothly and warm is 25 PSI. Regulating the temperature with this water heater could be a bit unstable, but it is not too annoying as you might have experienced with showers before. Ultimately, it also depends on the temperature of the water, to begin with as well as around you. Water heater runs for long hours, up to 11 hours according to the product description or about a dozen shower before you need to replace it with 2 D batteries. The heater also comes with a 72” hose (8 feet)as well as a regulator hose for 20-pound propane tanks. The best part about it is that you can get one of this at $159 on Amazon. Rated at 4 out of 5 stars, we’d say this is on our top list for affordable RV tankless water heaters! Do you think 2.5 PSI is too high? Do you hate how you have to switch your faucet’s aerator as you wanted to conserve energy and water usage? Excel’s tankless gas water heater has a low-pressure startup, and when I say low, it’s 2.0 PSI low to kick start the heater. That means you can plug your aerator and still get warm water out of it without having to waste those water. 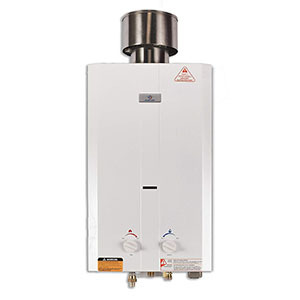 Like most tankless, this water heater operates on propane gas, that’s why it comes with flare brass adaptor and regulator for the propane tank. This model has to be installed to be operated and cannot be carried around/it’s not portable. It is also not equipped with freeze protection, so be cautious if you want to use it outdoor during winter times. Another great thing about this $249 water heater is that you get a lifetime warranty for the heat exchanger. There is also no need to be bothered with the vent and figure out ways to get doors with flues installed for it. The unit also comes with an oxygen depletion sensor, giving you a safe and comfortable shower. There really isn’t much we can complain about this particular unit except that it works wonderfully. Although the 2.0 PSI thing is not a guaranteed number because sometimes, it fails to kick start the heater. Unlike tank water heaters that are constant, this thing needs a trigger and the heating is instant. A piece of advice for this is to give space above the unit because that is where the heat is released. The Ecotemp L10 is another competitor selling at $249 each and it includes easy assemble within that price. The product is designed to be easy to install and hang anywhere. The water heater uses 2 “D” cell batteries to be ignited and this is great for off-grid situations like traveling in your RV and boondocking somewhere. The limit pressure necessary to get it to work is 20 PSI according to the product description. It is also optimized to be connected to a 20lb. propane tank. The water heater is amazing for bathing, washing, even gardening outdoor if you are not in your RV. The max running rate with heater water is 2.6 GPM and you can get up to 140 degrees of Fahrenheit which is at the minimum flow rate and 50 degrees of Fahrenheit at a maximum flow rate. It is lightweight and easy to use. Make sure to give about 2 inches of space on both sides of the unit to let the heat-flu ventilates. The worst thing about Ecotemp? No company is perfect, so one way or another, there is bound to be someone out there who unfortunately got a unit that is faulty. It could be the delivery or manufacturing failure, but the most important thing right after that is how the company deals with it. Ecotemp is not the best, but they could be better. If your unit is working, you will not have to deal with the customer service, but just in case, we do suggest you purchase the unit from Amazon, so you can return it once things don’t go right. Camplux 5L Outdoor Water Heater receives a lot of positive reviews thanks to being both affordable and amazing. 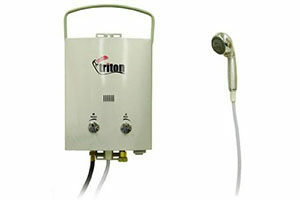 Price wise, it is competitive to previously review Camp Chef’s Triton Water Heater at $120. Let’s see what this small heater can do! And as usual, most people are willing to try something that is not expensive and surprisingly, it wasn’t disappointing. 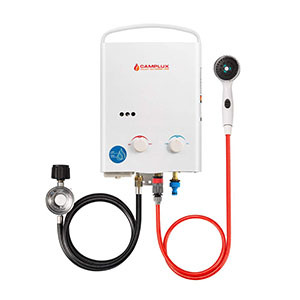 Camplux’s 5L Water Heater requires only 2.5 PSI of water pressure to work, a very competitive measurement compared to many available on the market. The heater has the ability to provide up to 46℃ increase in water temperature and a minimum of 8℃. The maximum power output for the propane gas heater is 34,000 BTU. The water heater has a flame failure feature to prevent fire hazard as well as auto shut-off when oxygen depletion is detected. While they used to lack the adaptor and regulator, now the company has fixed this issue and includes them in the package. The minimum flow rate necessary to kick start the heater is 1.32 GPM. The maximum speed is 1.32 gallon of water per minute, equipped with energy-saving technology as well. 2D cell batteries are necessary for the ignition of the water heater. Use it easily outdoor with the handle that makes it easy to carry and hang it anywhere. There is also the fact that it has freeze protection, making it possible to use it when the temperature reaches the freezing point. 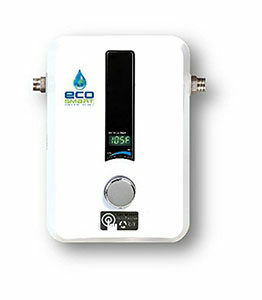 The EcoSmart ECO 11 Electric Tankless Water Heater’s biggest advantage is, as many might have guessed from its name, how eco-friendly it is. The unit is designed and dedicated to energy conservation within your budget and eventually, saves the cost in the long run. The product claims to save up to 60% energy on water heating. The best part of this water heater is how it is never going to hurt your electricity cost because it is truly efficient! Unless you are having more than 3 people bathing at the same time, you will not be using full 150 amp. This is also the only electric tankless water heater that makes it into our list and we have a very good reason for that. Gas-powered water heaters are effective because electricity is not something that you have all the time. Yet, there are those who don’t like using gas and wants something… electric. Yet, most of them pull a lot of power out and you might have to spend the rest of the day free of electricity. But EcoSmart makes it possible to not waste too much electricity while getting all the hot water you want. The product comes with patented self-modulating technology as well as Water Sense certification. You can also buy a remote control to regulate the temperature of the water heater. You can also find out more on the correct size of your EcoSmart product by visiting their website! Going on a journey in an RV means that you will be facing a lot of uncertainties in many things. You won’t be able to bath your dog in a wide tube and have hot water flowing anytime you want. Especially when the nights are cold and you just can’t skip 2 days without taking a bath at all. If you are planning to travel with children, it’s even more important to have warm baths to keep them warm and healthy. 24-hour warm water supply, the runtime of heaters depends on battery life as well as your supply of propane/whatever type of energy source your heater runs on. No more trying to go through cold nights without a warm shower before you sleep. No ‘recovery’ time needed like tank water heaters need because as long as you have enough propane, your water heater will work whenever you want it to. The only delay you will get is the time needed for the heater to warm up the water. No electricity needed to kick start some water heaters. Use batteries for ignition and simply stock on them. You will be able to operate your tankless water heater whenever and wherever as long as you have the gas. Most tankless water heaters require 2 “D” cell batteries to startup. Eliminate constantly wasted energy on heating up reserve hot water. You can always opt to have an on-demand water heater that comes with a mini reserve (1 liter or so) to make sure that your first few seconds of turning on the faucet won’t be uncomfortably freezing cold. Saves space and reduce weight burden on your RV as a tankless water heater weigh only 30 or so pounds. You also don’t need to reserve a space to keep your hot water with an instant heater. Use it outside your RV! A tankless water heater is not always the type that you have to install. If you buy the ones that are used outdoors, they can be used for many other things: bathing your dog outdoors, playing in a small pool with kids or even lend it to others in need! 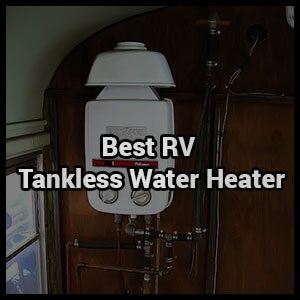 If you are planning to install a water heater in your RV, here are a few things to know before you get a tankless water heater. Weigh between price, needs and the convenience of different water heaters. It is different between camping and living temporarily in an RV living in there full time. For those of you who plan to spend only a few days or weeks, there are many cheaper choices that won’t cost you a fortune. Those choices will still get you steady and nice warm water throughout your travel. Installation issues – not everyone is a techie and good with plumbing and all those things. If you are not sure how to install one, be sure to prepare yourself by watching tutorials, reading the manuals (absolute MUST) and if you are still unsure, ask for a professional to help you with it. While tankless water heaters generally work without electricity and run on propane, they still need electricity to ignite (sometimes, batteries are enough). Delay time – tankless water heaters that are centralized will take time in delivering warm water to you. If the user point is pretty far, you will experience more than a few seconds of delay and that’s a problem for some people. Although there are several pricey models that provide small tanks to reserve hot water to avoid this, chances to find a good affordable one with that feature is low. Choose the right size – not all models come with the correct size and dimension for your RV. Make sure to measure everything correctly while leaving a few inches of room on the sides. You also need to check the correct size of the door for your water heater. Planning to replace? It’s not an easy task to replace your old tankless water heater if you have zero basic knowledge of Other times, you had relied on someone else and now you have no one but yourself. 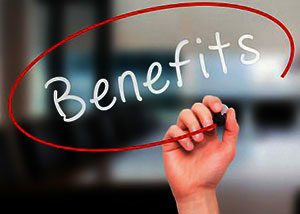 But here are three golden rules to follow: disconnect power line, water line and make sure the propane gas supply is cut off. It’s not always the unit’s fault – with that said, we’re not saying that users should be smarter users. While that’s not bad advice, we talked to professional plumbers and the reason some people hate water heaters is because they don’t know the right way to deal with them. First, it’s important to not suddenly dial the heater high up and then shut it all the way down. That’s the exact way to ruin with the sensor and, with a high probability, your shower. Boon-docking? A tankless water heater is not exactly the fastest choice to have, yet, it is not a bad choice to make if you want to get that quick shower on the highway. What to get with your water heater together – the first most important thing is that if you are planning to purchase models like Girard’s, remember to buy the correct size of the door. As for outdoor models, don’t forget to bring something to hand your water heater on while you take your shower whether you’re outdoor or indoor. Check if your water heater comes with the regulator/adapter to connect it to the gas tank. Q1. Can my RV be installed with a tankless water heater? Answer: The quick answer is yes. The long answer is that there are different types of water heaters out there. It firstly depends on the space that you have to install your water heater in. Then there are the needs of the group which will determine the capacity of the tankless water heater. But even if it’s impossible to have a tankless installed inside the RV, there is always the outdoor style that you can choose. Q2. Do tankless water heaters operate on electricity or gas? Answer: They don’t necessarily operate on only one type, but usually, tankless water heaters for RV operate on gas. That is because gas is easier to find than electricity when it comes to camping or traveling somewhere lines don’t reach. You can always stock on enough propane tanks depending on how long you will run. There are tankless water heaters that operate on electricity, but this is harder to find is usually more expensive to use and run. Q3. What are other types of heaters to get for my RV? Answer: There are tank-based water heaters which generally has to be installed inside the RV and connected to your bathroom. 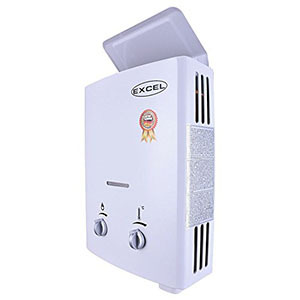 It is usually harder to use because you need to at least know a thing or two about the electricity that is connecting the heater to the central line and then the water line. Tank-based are usually divided into 4-, 6-, 10- and 14- gallons type. The big drawback with tank-based ones comes from the fact that you have limited hot water at every one time and there is a need to refill it when you need more. Big tanks are great for a group of people, but as you can imagine, you will need a 14-gallon space to keep that water, something not everyone can afford to pay or keep in their trailer. Point-of-use types are tankless water heaters type that is installed right on the appliances that you need. Due to the limited space, price as well as the fact that you still get the same hot water with a $100 outdoor water heater, this isn’t the most popular choice. Q4. How to not screw up your water heater? 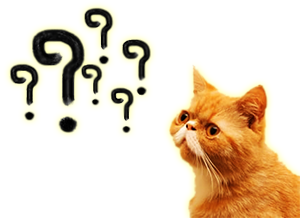 Answer: The problems for some of the use with on-demand water heaters is the fact that they don’t seem to know the exact, correct temperature that is not too cold but also not scalding hot. Some don’t come with a precise thermometer and others have only three or four options to control the heat. The key here is patience. We know that some people like to crank it up high just so you can immediately get that hot water coming out, and then suddenly drop the thermometer. That is exactly the reason your water heater will suddenly stop working because it detected that the water’s temperature is much higher than the one you set it on. Bear for a couple of seconds and let the heater warm the water up. Also, make sure that your water heater is insulated if it is not made with stainless steel material for the cover. Keep the unit dry and clean it once in a while. Make sure you don’t put flammable objects too close to the unit. There is always something for someone, and there is always the right water heater for your RV, but that’s if you have space! A tankless water heater makes it possible for everyone to get their long-dreamed unlimited hot shower. Make sure to read the manuals before operating them and check our FAQ section for additional how-tos. Most tankless water heaters are affordable, but don’t close the possibilities of finding a better option depending on your needs! Finally, we wish you a happy and safe journey ahead with your RV. Cheers! If you need assistance on what to choose among the tankless water heater, call us.